An increasing number of homeowners are extending their living and entertaining areas far beyond the confines of their home. The environment of the outdoor space is being transformed as homeowners create atmospheres that extend past the ordinary patio, outdoor area, deck or garden. The trend today is about full outdoor kitchens and well-appointed entertaining areas that allow for endless evenings of conversation, al fresco dining and fun with family and friends year-round. Outdoor kitchens have featured all the traditional appliances for some time now — refrigerators, stoves, gas grills, ovens, and even microwaves have become standard. However, now homeowners are adding all of the designer comforts they need to make their outdoor space truly exceptional. Some examples include a specialized wine refrigerator, ice maker, espresso machine, and even a panini press. Outdoor kitchens today are more about creating an atmosphere than just an add-on room. This means the lighting cannot be just an afterthought. Lighting should create a mood and also be customizable depending upon the time of day and the atmosphere desired. Track lighting, sconce lighting and dimmer switches can help bring flexibility and set a mood. Path and stairway lighting help keep the area safe as guests stroll around your space in the evenings. Delicate white string lighting can add elegance to trees, fences and shrubs around the property. Today’s outdoor kitchen isn’t about either-or; it’s about options. Instead of just having a grill or a stove, kitchens today have both options readily accessible. A brick or stone pizza oven brings even more options if a wood-fired effect is desired. It’s in the details as well, so added side burners, a broiler and convection option in your oven will ensure every cooking option is covered. As outdoor kitchens and entertaining spaces become more elaborate, the need for storage increases as well. However, it’s no longer just an afterthought; storage is seamlessly integrated with existing appliances and furniture in a sleek and appealing way. Multi-purpose shelving, cabinets and bench storage ensure minimal clutter and that everything can be tucked away. Kitchen islands are appearing increasingly in outdoor kitchens as well. They function as ideal work and counter space as well as storage space both above and within the island. The least fun aspect of outdoor entertaining is becoming much easier as outdoor cleaning options are being included with outdoor kitchens. From full sinks to dishwashers, it's easier than ever to restore your outdoor kitchen back to a clean and orderly state after even the largest and most elaborate gatherings. Cleanup can become a breeze when you no longer have to cart dirty dishes and cookware into the house for washing. Advances and innovations in outdoor heating are also enhancing today’s outdoor kitchens and entertaining spaces. There are now a variety of options for heating systems that can be installed in outdoor areas to help extend the entertaining season well into the evening as well as all year round. Of course, you can include some prefer earthy and accessible heating options — like a fire pit, wood burning stove or outdoor fireplace — and there are designer options available for each. Infratech infrared heaters bring the latest in innovation to your outdoor space, ensuring both guests and the chef will stay comfortable while creating the ideal atmosphere in your outdoor space. Are you ready to create an outdoor kitchen and entertaining space that’s far from ordinary? 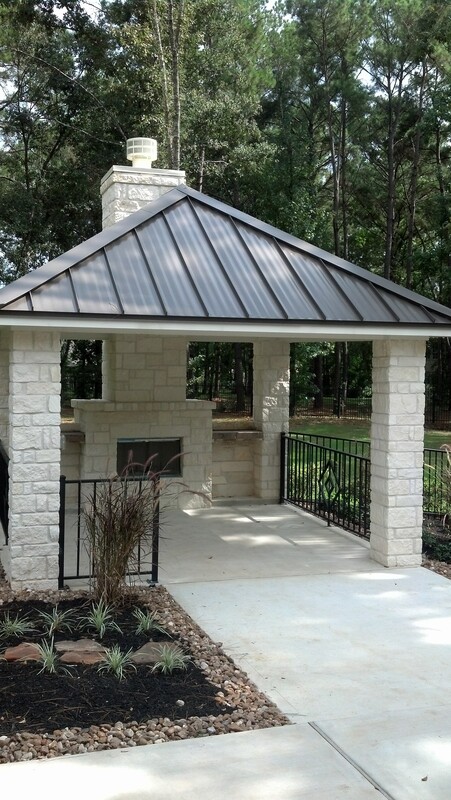 We’ve been building and designing from the Hill Country all the way to the Gulf Coast for three decades. We work in the Hill County as well as the Greater Houston area and all the way to Huntsville and College Station. We bring our experience to every project, and we love what we do. We’re in the business of creating living spaces and atmospheres that bring life to your home and set the stage for countless unforgettable memories to come. Contact us today to get started in bringing your designer outdoor kitchen and entertaining space from vision to reality. With your ideas and our expertise, together we’ll create a final result that exceeds your dreams and expectations. If you are interested in building a custom home, here's a great place to start. 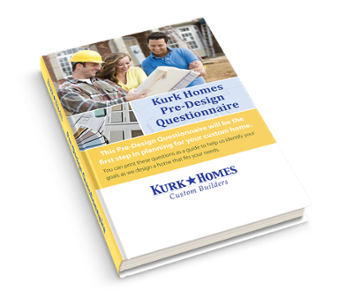 Download our Pre-Design Questionnaire as the first step in planning for your custom home. Designing and Building from the Gulf Coast through the Hill Country for nearly 30 years.